Sometimes life throws you curve balls, but sometimes you’re the one tossing the pitch that changes directions. The same goes for careers. 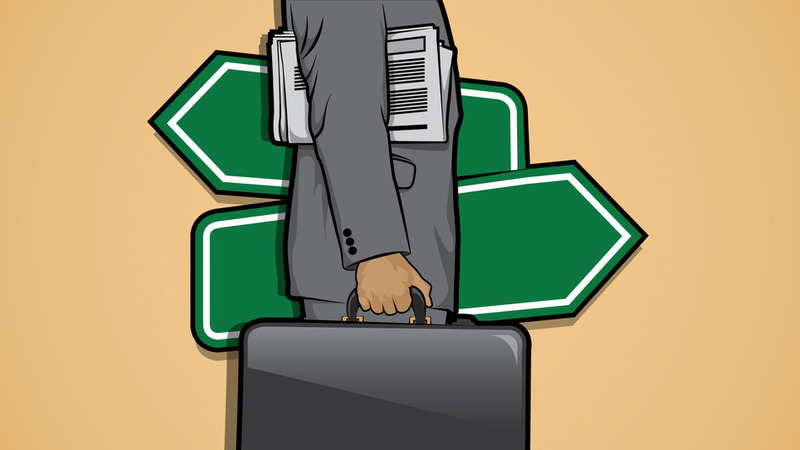 While we’re sometimes forced to move on from a job because of uncontrollable circumstances, we also frequently choose to carve out our own paths, leaving promising positions to find a new career that aligns with our passions and provides new challenges. How often do we seek new employment opportunities? According to a March and April 2015 survey of 8,000 participants, 58% of the adults in or looking to join the workforce say they actively look at new jobs at least monthly. These five people decided to go the full mile: to transform their careers and push forward in unexpected directions. The arcade industry is hot … in 2015? While that might sound far-fetched to some, Seth Peterson believes there’s still an intense demand in the U.S. today for the classic cabinet games, enough that for the past three years, Peterson has run All You Can Arcade, an online rental store for arcade game rentals. It wasn’t supposed to be a business. In 2012, Peterson bought himself a Sega arcade game from the late ’80s, Turbo Outrun, for his birthday for only $75. Growing tired of his job as a financial planner and frustrated with highly volatile and low-return stocks, Peterson began thinking of ways to turn his birthday present into a business opportunity. “The finance side was at times easier and more lucrative, but it wasn’t spiritually or emotionally fulfilling,” he tells Mashable. One particularly intriguing idea Peterson had was to engineer a new way of selling arcade cabinets. Arcade operators, he observed, were desperate to sell off old and sometimes broken quarter arcade machines that couldn’t turn a profit charging a quarter in an age where most gamers play on their TVs or smartphones. Yet, despite that seismic shift, Peterson noticed that a sturdy demand remained for classic arcade games. He began looking at the problem just like he would with a stock or a bond. 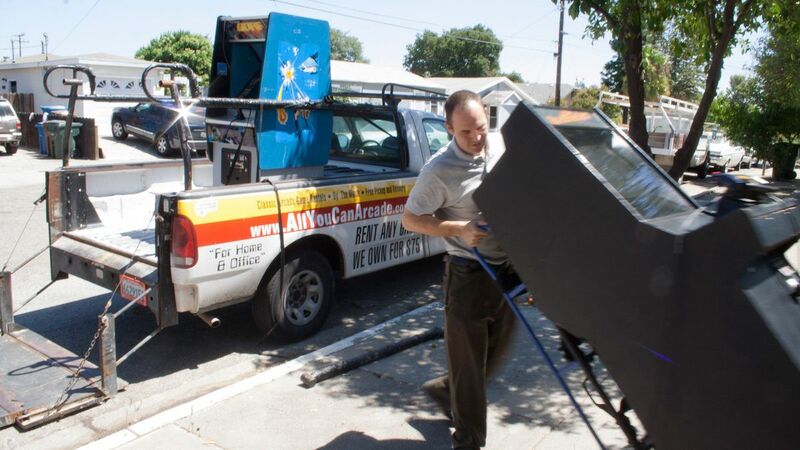 Three years later, Peterson’s All You Can Arcade has bought up (and fixed) old arcade systems en masse and now has a roster of nearly 400 machines, most of which are frequently sold-out to clients that range from big-name startups to Gen X’ers, Peterson says. For now, most of All You Can Arcade’s games are rented in the Bay Area, but Peterson is currently working to to develop an online platform where arcade operators around the country can list their machines for rent on All You Can Arcade’s website. Like most pet owners, Amy Halm wasn’t thinking of business opportunities when she adopted a former police dog. Her journey from handling crisis communications for major technology companies to narcotics dog handler was more fortuitous than that. One day, a neighbor approached Halm and asked her if her Belgian Malinois, Dargo, could still sniff for drugs. Unsure, but intrigued, Halm offered to try. She brought Dargo over to the neighbor’s house and with just a few commands, the dog was back in action, sitting down underneath a shelf that he found marijuana on. “I realized I had a revenue producing asset that sat underneath my desk all day,” Halm adds. Soon after, Halm started taking narcotics detection classes and had Dargo registered as both a drug-sniffing dog and a therapy pet. Her first clients were homeowners, but she networked. Soon, she and Dargo found work sniffing out drugs at businesses, schools and narcotics treatment centers. Today, Halm’s narcotics detection business, Desert Drug Dog, has three human employees and up to six canine workers. Though some associate drug-sniffing dogs with trouble, Halm doesn’t always see it that way. By hiring non-police dogs, principles, parents and treatment center directors are allowed to devise their own solutions without getting the law involved, Halm says. Because many of her dogs have also been trained as therapy dogs, they’re able to do more than root out drugs. On one visit to a treatment center, Halm says, she and her dog were able to help a patient who was struggling to open up to staff. Sitting at Seattle-Tacoma International Airport in 2008, Maigen Thomas found herself at a crossroads. Barred from reentering Canada because of an expiring visa, jobless and without her husband (she was forced to leave him behind in Canada), Thomas began looking at job listings on her computer. One of the listings, a flight attendant position with Delta, caught her eye. On a whim, she applied. Seventeen weeks after getting the boot from Canada and 107 days after applying at Delta, Thomas found herself serving peanuts and instructing air passengers on how to fasten their seat belt on a Delta flight, one of the company’s newest flight attendants. For six years, Thomas worked in the friendly skies. She’d separated from her husband and enjoyed traveling the world as a single woman. “The world is your oyster,” she says on her time as a flight attendant. After falling in love and marrying again, however, Thomas began having second thoughts about the career that took her away from her husband and her home for many months of the year. She wanted to settle down, she says, but she also sought more satisfaction from her career. Hesitant about going back to school and accumulating more student debt, Thomas, at her network engineer husband’s suggestion, signed up for Code Academy, where she learned the basics of computer programming. Thomas hit pay dirt with coding. She took to it and discovered that she had a knack for design and front-end website development. After Code Academy, Thomas signed up for a four-month intensive programming bootcamp in Oregon. She then landed a paid internship which later become a full-time front-end developer/UX designer position at Unigo, a company that helps students choose a college that matches their needs and goals. Working as an aide for special needs adult, Tracey Parker-Warren witnessed firsthand how disabled people lack access to important services at home and equal treatment in the workplace. Spurred to act, she entered law school with the hopes of becoming a more powerful advocate for the handicapped. Though Parker-Warren would excel at tax law at Georgetown Law School, she says an early lesson from her mother turned her away from corporations and toward individuals. Parker-Warren’s passion, she learned while working as an attorney at the U.S. Department of Veteran Affairs, is helping the disenfranchised. Today, as an administrative judge in Maryland, her docket includes cases that involve denial of food stamps and involuntary hospitalizations. Even when a DUI case is sent to her court, Parker-Warren sees it as another opportunity to protect the safety and well-being of an individual or community. 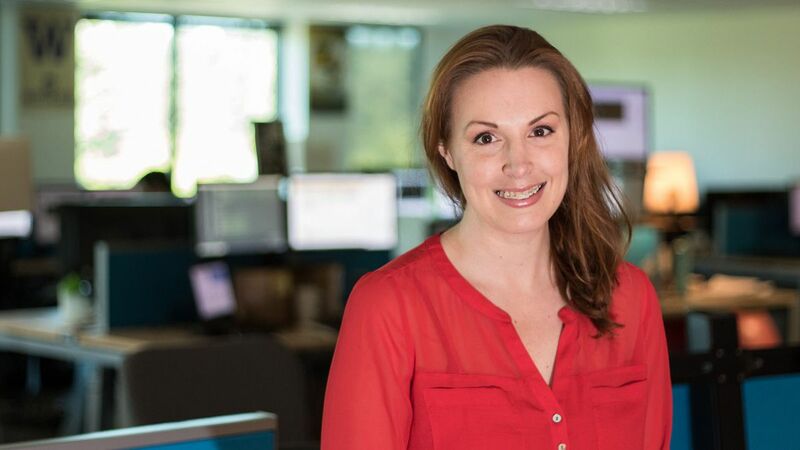 “It’s a pleasure to go to work and do something that helps my community,” she says. “Edu-tainment.” That’s what Chinese-born Yangyang Cheng calls her pivot from Chinese TV to running an online language school in Los Angeles. For years, Cheng bridged the gap between Chinese and American cultures. The show shereported for and hosted, Hello! Hollywood, was shot in LA but aired in China, where TV executives hoped to bring American celebrity culture to Chinese viewers. Their strategy worked — 300 million people watched Hello! Hollywood in China. In 2007 though, Cheng wanted to reverse her course. Instead of bringing American culture to her native China, she wanted to ferry Chinese language and values to America. After teaching Mandarin at Pepperdine University, Cheng posted her first lesson on YouTube in 2007. To her surprise, the video was a hit. Five years later, Cheng rolled out a fully developed Mandarin video language school, Yoyo Chinese. The program offers a suite of video tutorials and hires real teachers to respond to student questions. To date, Yoyo has taught 8 million lessons and currently has 100,000 active students. “My passion has always been in education, which can always add value to society,” Cheng says. Tags: Amy Halm, Career Shift, Maigen Thomas, mashable, Seth Peterson, Tracey Parker-Warren, Yangyang Cheng. Bookmark the permalink.